Meet Milly – my 2004 turbo Volkswagen Beetle. She’s my dream car and has been for as long as I can remember. There’s something about her cheeky little curves; her bright cherry red body and her peppy little engine that just makes me smile. I never get enough of zipping round town in my little Milly and I feel very lucky to have her. Milly is actually my second Beetle. 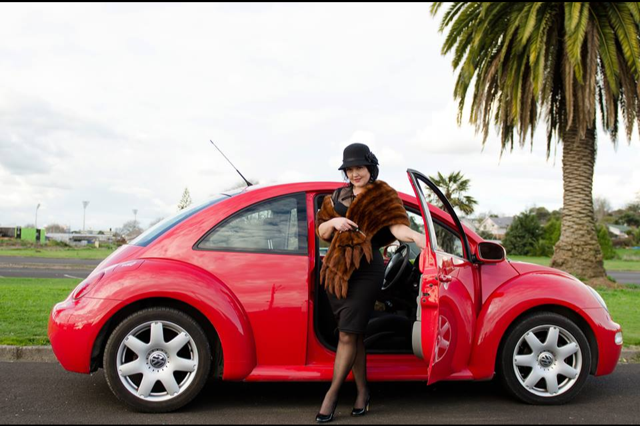 As I said, I’d wanted a Beetle for as long as I can remember, and about six years ago, I decided to bite the bullet and purchase Lucy – a lime green Beetle who was my pride and joy! At that time, my daughter was about three years old, and Lucy was surprisingly practical as she was easy to get Kellie in and out of, and she had a deceptively large boot into which I could pile all Kellie’s stuff! I bought Milly, without having even seen her, from Turners in Christchurch, and had to get her up to Hamilton, all the while hoping like hell, she was OK and had no issues! I believe that is what you call “auction fever” … I was sitting on my computer at home in Hamilton watching the auction and Milly was about to get passed in. In a fit of excitement I pushed the bid button and suddenly it came up “bid successful” and my heart went into overdrive! I’d just bought a car I hadn’t even seen and now I had to a) tell my partner (!) and b) get her up to Hamilton! Now this is a bit of an aside, but always makes me laugh. My Dad, being in the motor industry, was DEAD AGAINST me getting a European car because of the expense of fixing it if anything went wrong and also because he didn’t stock European vehicles and therefore wouldn’t be able to get me the parts. Anyway … after much thought, I decided that he couldn’t SURELY be angry with me forever, and went ahead and got one! I did get the cold shoulder for a few days, but Mum cheered me up by saying she’d always found with Dad that it was “better to ask forgiveness than permission” … hahahaaa! Poor Dad! 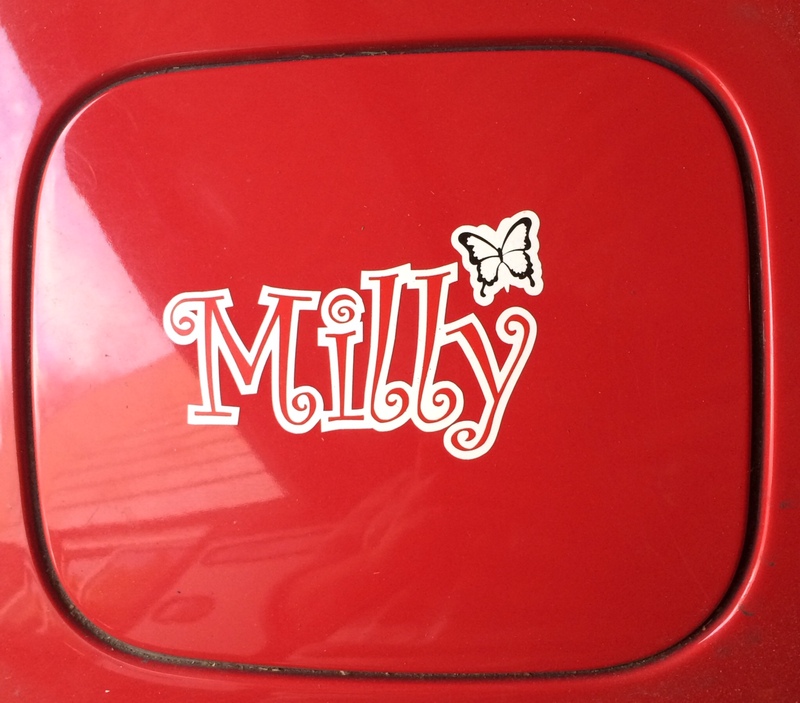 Why yes … Milly does have her name on her petrol cap! So there you have it … why I love my Beetle. I sincerely recommend you get a car you love if you can – if your car brings a smile to your face, then that’s a good start to your day! PS: as much as I love Milly, I wouldn’t be adverse to having a Range Rover Evoque find it’s way into my Christmas stocking! Posted on October 16, 2014 November 25, 2014 by MumptyStylePosted in Mumpty StoriesTagged auction fever, cherry red, Milly, Range Rover Evoque, Thank God she turned up OK!, turbo, Volkswagen Beetle.